Since about 90% of the natural floodplain area of rivers in Europe has been reclaimed and now lacks river dynamics, nature rehabilitation along rivers is of crucial importance for the restoration of their natural function. Flood protection, self-purification of surface water, groundwater recharge, species protection and migration are all involved in this process. It is now generally recognised that rivers form natural arteries in Europe but are also of economic importance and are recognisable cultural landscape. Many examples are already available of successful small river restoration projects. Several species thought to be extinct have now reappeared and characteristic species have also expanded in recent years. 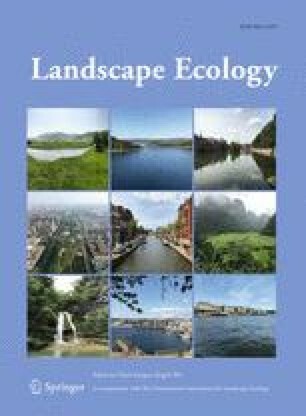 This paper concentrates on the concept of setting targets for river restoration as exemplified by the Meuse River. A modelling exercise shows the restraints of current habitat configuration and the potential for habitat restoration along the river. A policy analysis, using a strategic approach, illustrates the influence of the decision making process on the targets for natural river development. River dynamics play a key factor in determining the potential for persistent populations of target animal species along the river, with the help of an expert system (LARCH, Landscape ecological Analysis and Rules for the Configuration of Habitat). The potentials for the increase of dispersion and biodiversity and the maximisation of ecological benefits at different scales, are also considered.